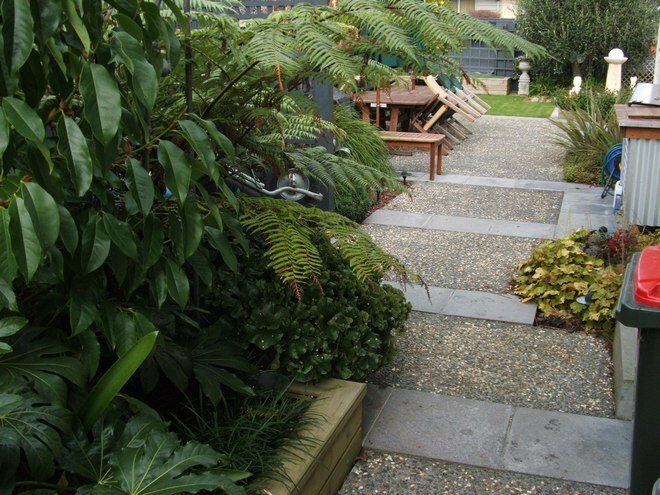 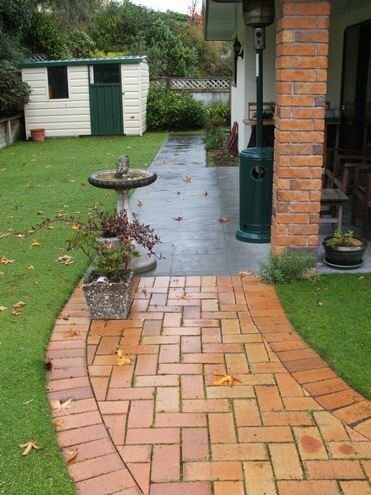 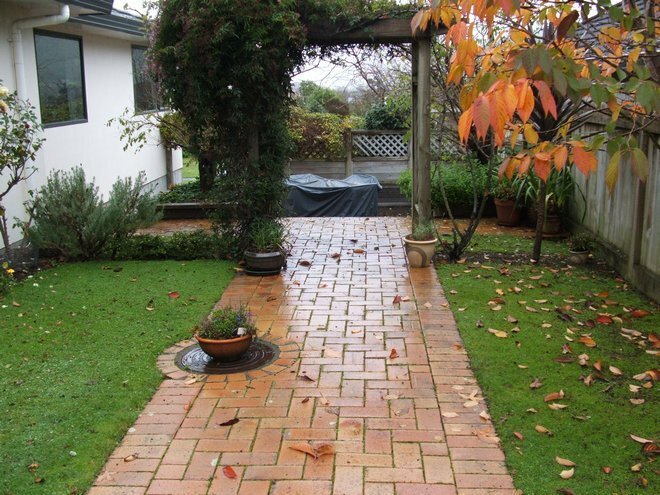 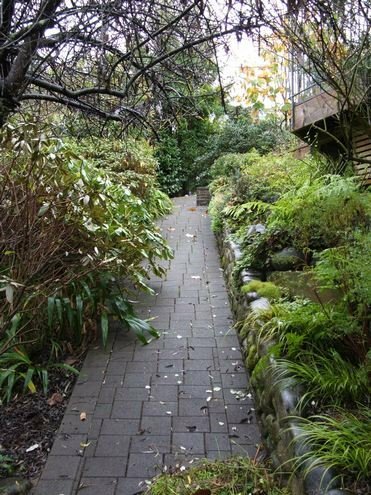 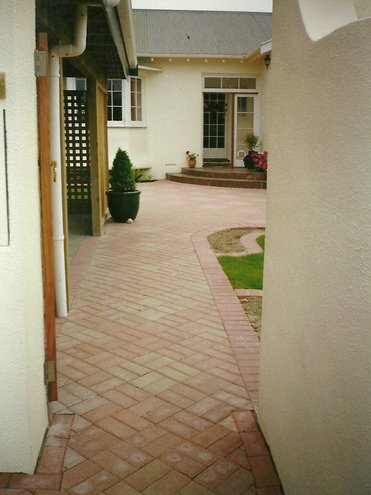 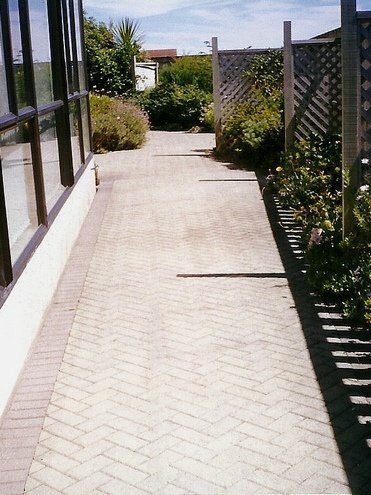 Paths can make a narrow accessway appear wider and give the illusion of more space. 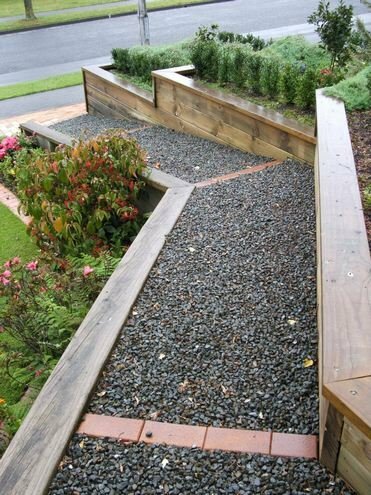 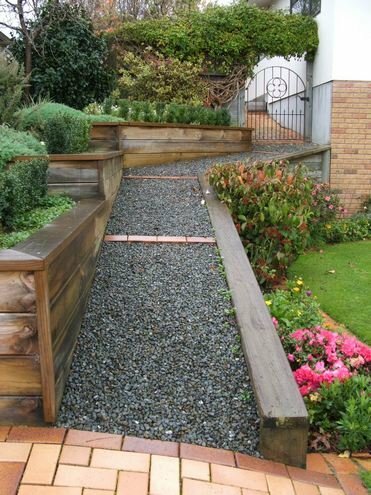 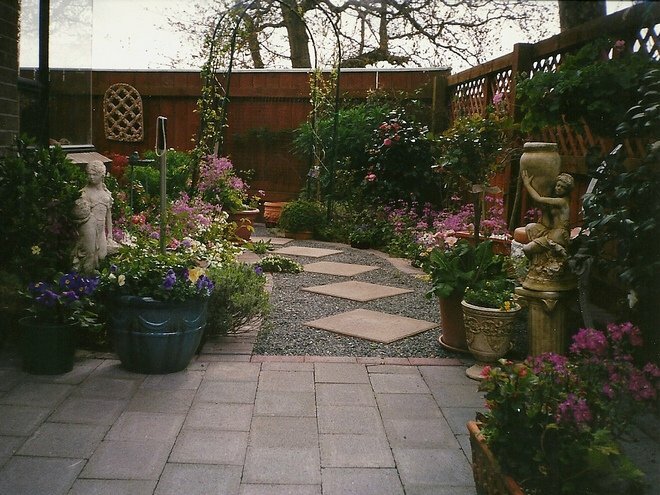 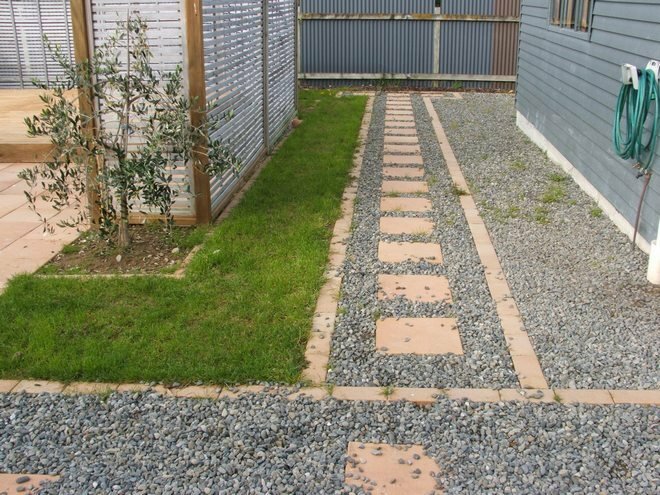 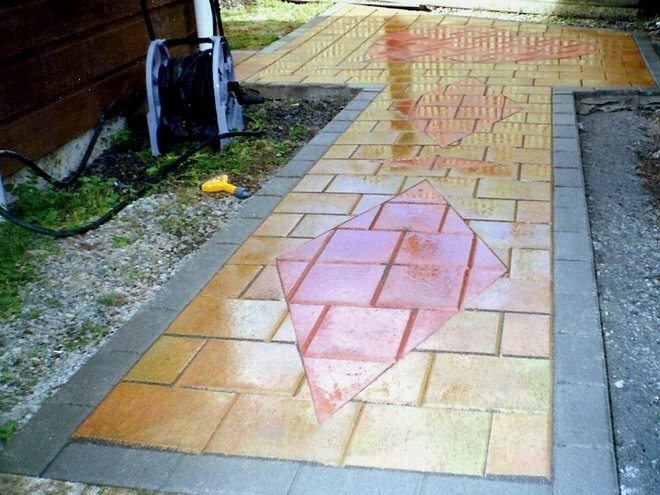 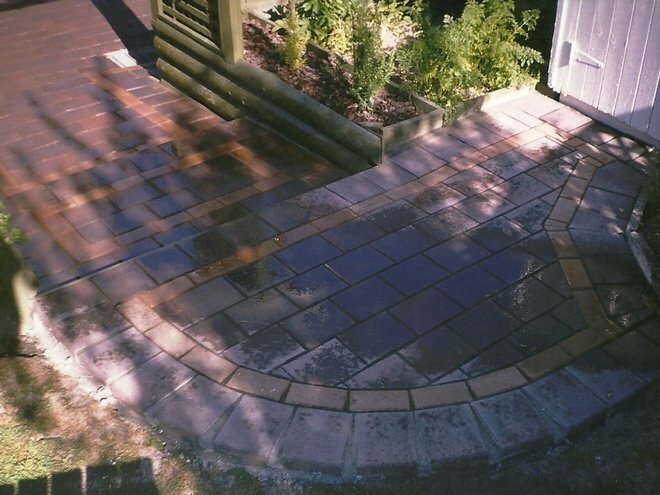 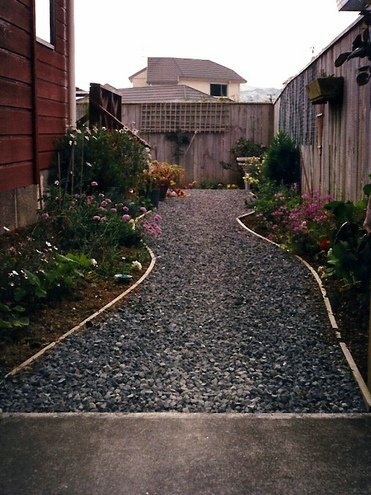 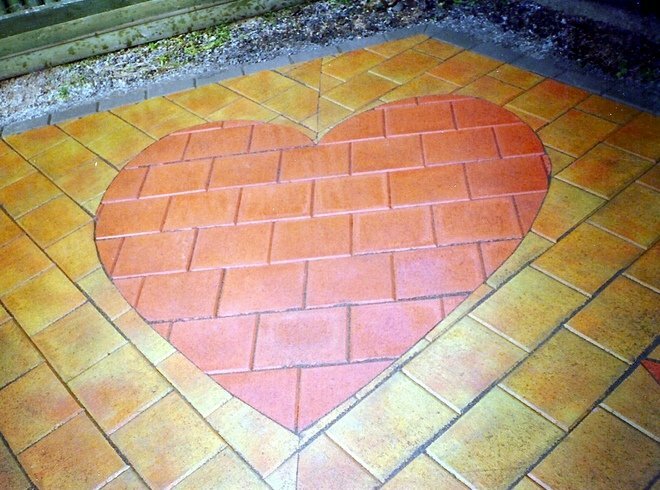 You can create a path from gravel, bricks, cobblestones, railway sleepers, concrete or a combination of all these materials. 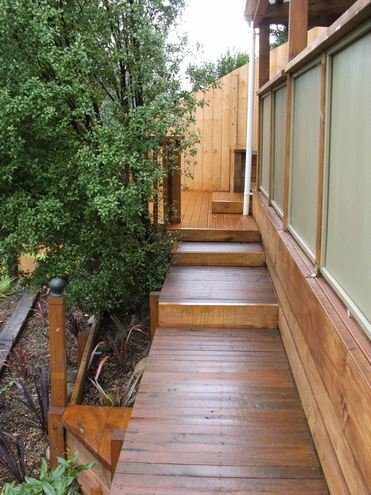 Timber boardwalks are also popular as paths.